Netflix reported quarterly earnings today. Net income rose to $344.1 million, or 76 cents per share, in the first quarter, from $290.1 million, or 64 cents per share, a year earlier. Total revenue rose to $4.52 billion from $3.70 billion. Analysts on average had expected revenue of $4.50 billion. But those aren’t the important numbers because Wall Street views Netflix as a growth story, so it’s all about the subscriptions. 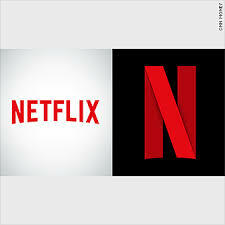 In the reported quarter, Netflix added 7.86 million paid subscribers internationally vs. analyst estimate of 7.14 million, according to IBES data from Definitive and 1.74 million paid subscribers in the United States vs. average analyst estimate of about 1.57 million. But for the 2nd quarter, Netflix lowered their guidance from 5 million subscriptions vs 5.5 million in the 2nd quarter a year ago. When it comes to competition from Disney’s (DIS – Get Report) Disney+ and Apple’s (AAPL – Get Report) yet-to-debut Apple TV+ streaming service, Netflix says that it doesn’t fear the competition. 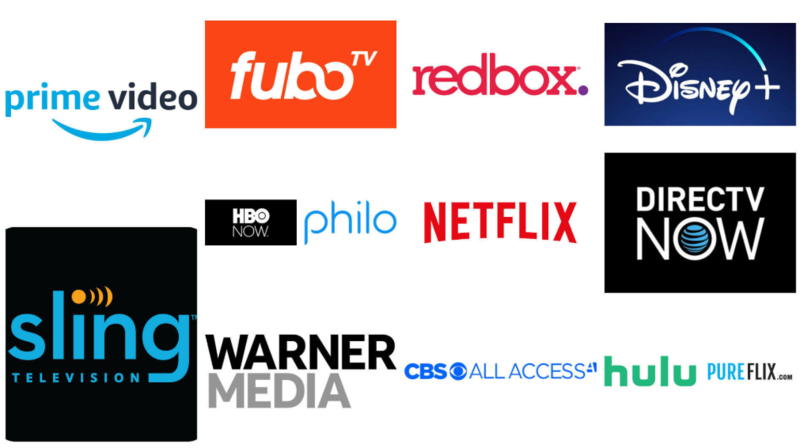 “We don’t anticipate that these new entrants will materially affect our growth because the transition from linear to on demand entertainment is so massive and because of the differing nature of our content offerings. We believe we’ll all continue to grow as we each invest more in content and improve our service and as consumers continue to migrate away from linear viewing (similar to how US cable networks collectively grew for years as viewing shifted from broadcast networks during the 1980s and 1990s),” the company said. As long as Netflix is spending more than the competition on content, in particular original content, I have to agree with Netflix. On average, Netflix is spending $10 billion / year on original content, while the competition like Disney, Amazon and Apple are spending on avg. $1 billion / year on original content. At this point, the only company that can defeat Netflix is itself. 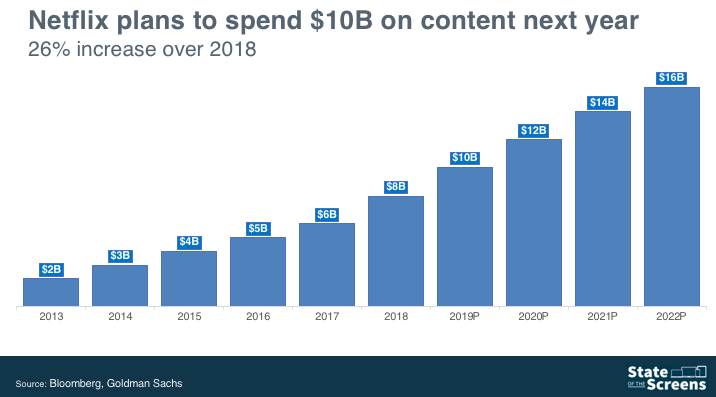 Netflix’s debt due to content has tripled in two years to $10.36 billion in 2018 from $3.36 billion in 2016. However, this is the only way Netflix is going to stay on top. So where is the stock price headed next, let’s go to the charts? Price is currently in the middle of daily supply and demand. Since earnings just passed, the probability of increased volatility is decrease, so a potential trade set-up would be to put on an iron condor. An iron condor is an options strategy that consist of selling one call spread and one put spread with the same expiration day. An iron condor is neither bullish or bearish and makes money if price stays stagnant.